I’ve ever had on a case. His knowledge of the construction industry and the laws related thereto was extensive and outstanding. CREATING THE LAW AND AWARDS. A principal architect of California ADR law, Ron Kelly has initiated and guided enactment of dozens of laws protecting the integrity of mediation and arbitration. These include key sections of the California Evidence, Insurance, Government, and Business and Professions Codes. Ron has been honored with ten major ADR awards in recognition of his work in pioneering the field, including Peacemaker of the Year in California and the American Arbitration Association's Distinguished Service Award. ARBITRATION, MEDIATION, SUBJECT MATTER EXPERTISE. Ron is a business arbitrator and mediator, specializing in disputes involving construction, business partnership, and real estate. He has been successfully mediating voluntary settlements since 1970. Since 1986 he has arbitrated cases through local courts, state agencies, and the American Arbitration Association. Ron chaired the Design Review Committee for the City of Berkeley, and served eight years reviewing plans and holding hearings on proposed commercial and residential developments for the city. His background includes training in real estate and construction law, structural engineering, and architectural design. Ron has extensive experience in the purchase, design, construction, and sale of real property and has held four licenses (California General, Electrical, Plumbing, and Solar Contractor’s Licenses). TRAININGS. Over the past quarter century, Ron has provided ADR training to thousands of lawyers, judges, business professionals, and court and government staff on four continents. His trainings cover conflict resolution skills, ethics and law. He regularly trains through the University of California Berkeley’s CLE Program, the Bar Association of San Francisco, and other local bar associations. Ron’s training materials are licensed and used by leading universities, bar associations, court systems, and professional organizations around the world. He is a frequent speaker on current issues in the field. PROFESSIONAL LEADERSHIP. 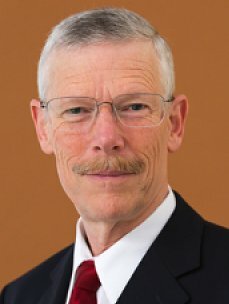 A founder of both the California Dispute Resolution Council and the Northern California Mediation Association, Ron has served on the boards of several mediation and arbitration professional associations, and remains a very active member of the Bay Area ADR community.